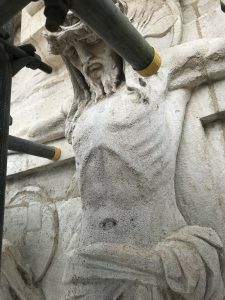 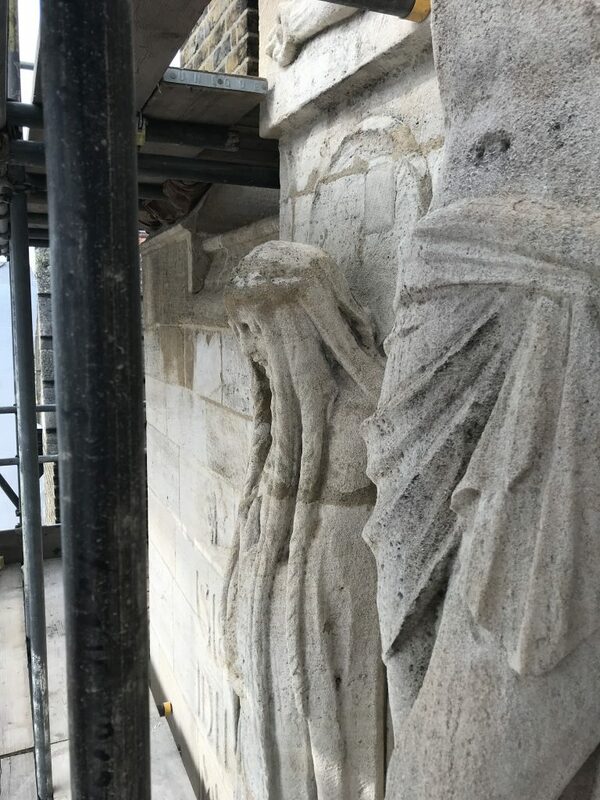 Work has now completed on the restoration of the carved stonework over the west doors of the church. 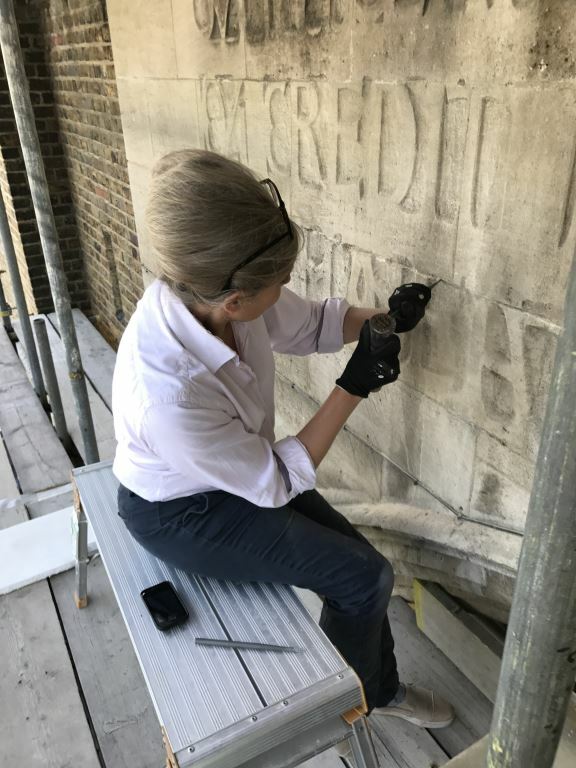 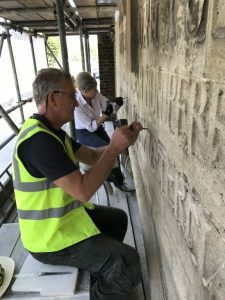 Expert restorers from Taylor Pearce painstakingly worked for two months in a project supported by the Heritage Lottery Fund, and supervised by Colin Kerr of Thomas Ford and Partners. 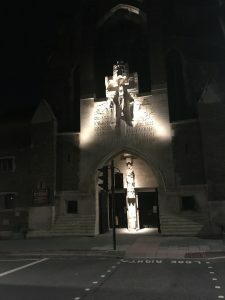 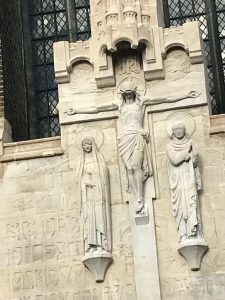 The clean, well-lit front of the church shows, at the upper level, Jesus on the cross flanked by his mother, Mary, and his ‘beloved disciple’ possibly John. 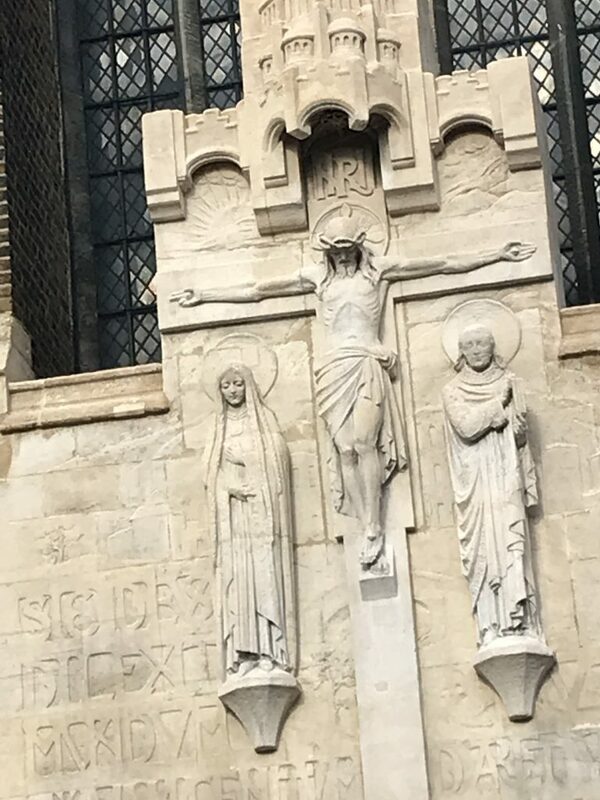 The lower stonework shows Mary and Jesus. 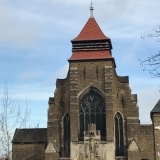 The upper stonework was designed by J. Harold Gibbons. 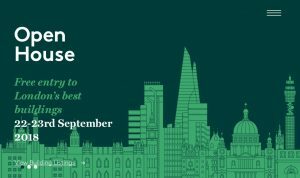 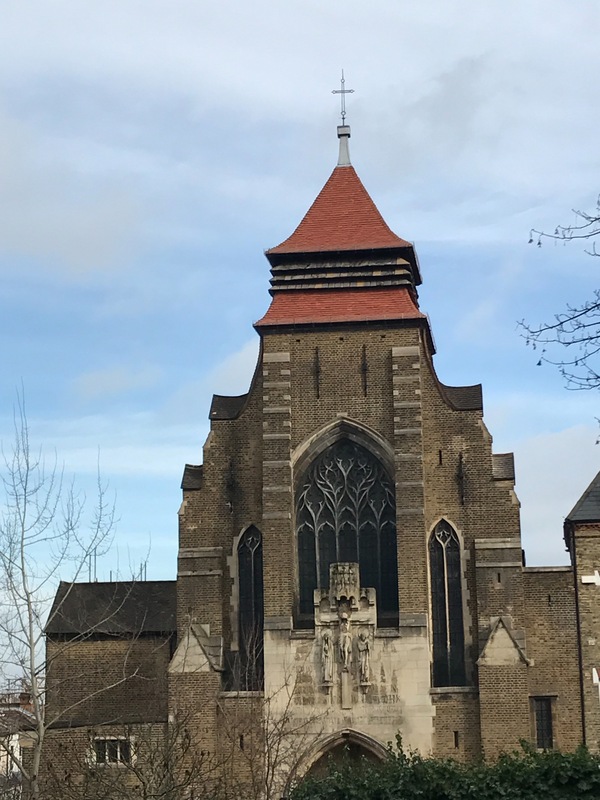 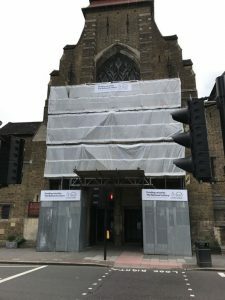 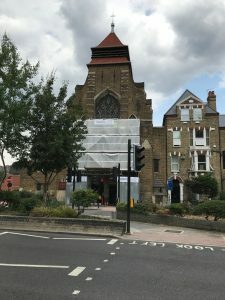 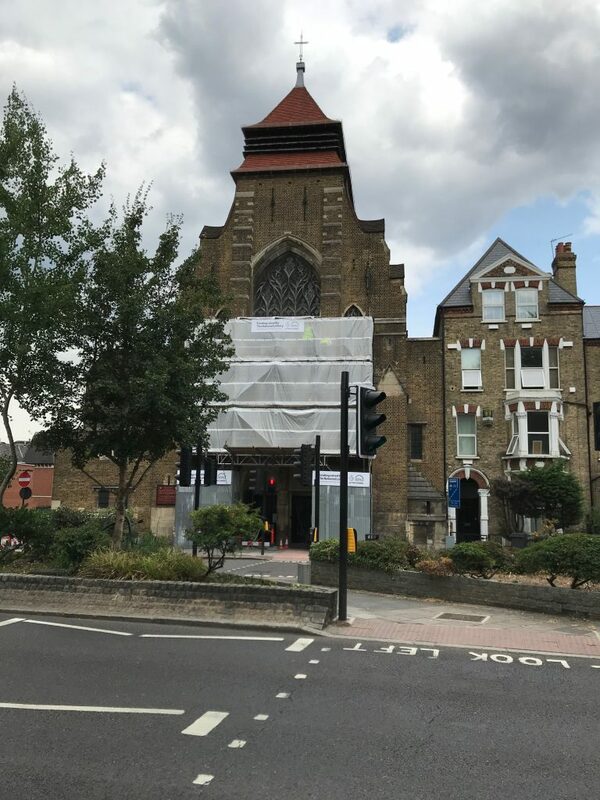 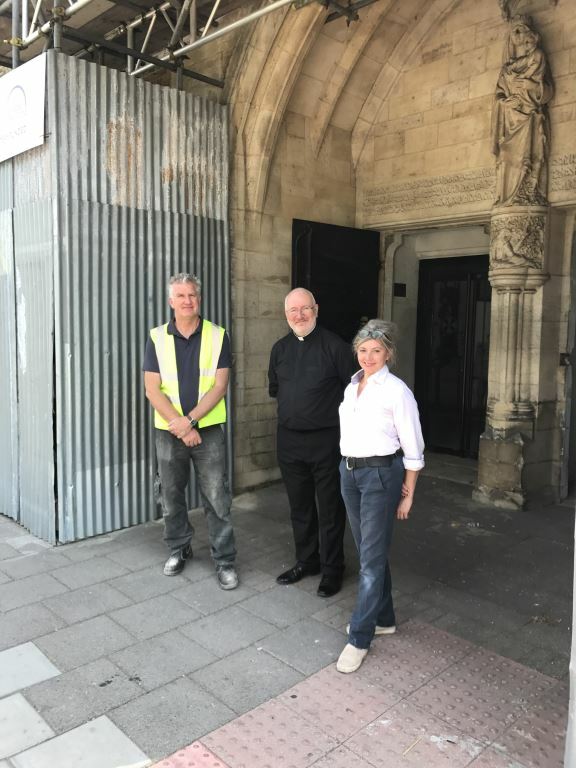 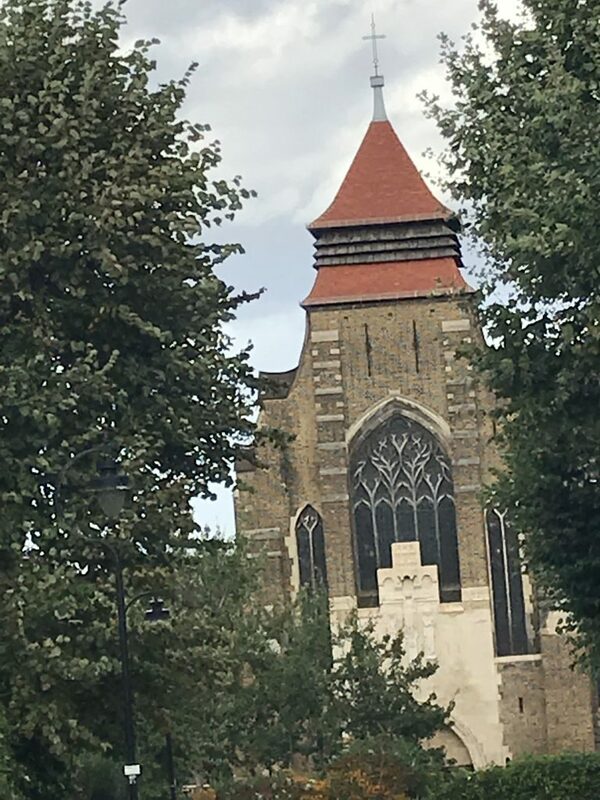 St. Augustine’s Church, corner of Archway Road & Langdon Park Road is open the weekend of 22nd/23rd September. 10 a.m. – 5 p.m. Saturday with 1/2 hour tours from 11 a.m until 4 p.m. Sunday tours from 1p.m. 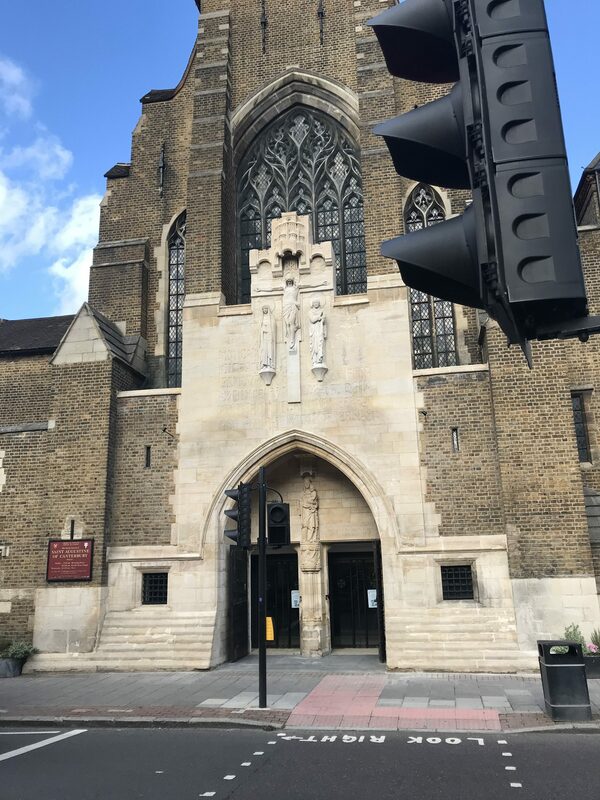 until 4 p.m. Victorian/Arts and Crafts, imposing west front by J Harold Gibbons with statuary by Dorothy Rope. 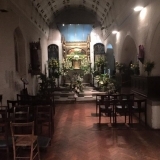 lady Chapel by Henry Wilson, stained glass by Margaret Aldridge Rope and fine Hunter organ plus case. 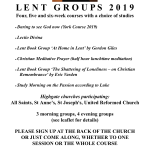 Refreshments available. 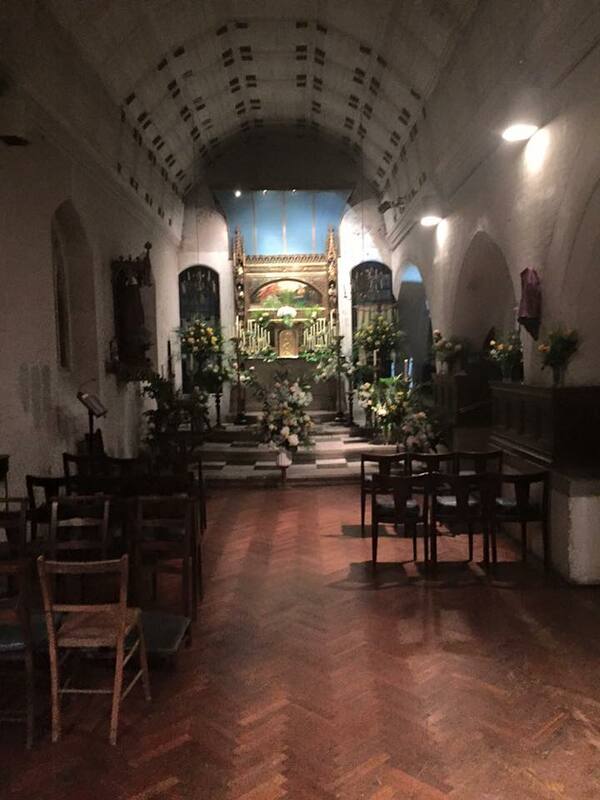 Mass on Saturday at 12 noon and Sunday at 10am.